Do you think that all weddings should pretty much be the same? Have the same feel and vibe and be fairly boring for your guests? 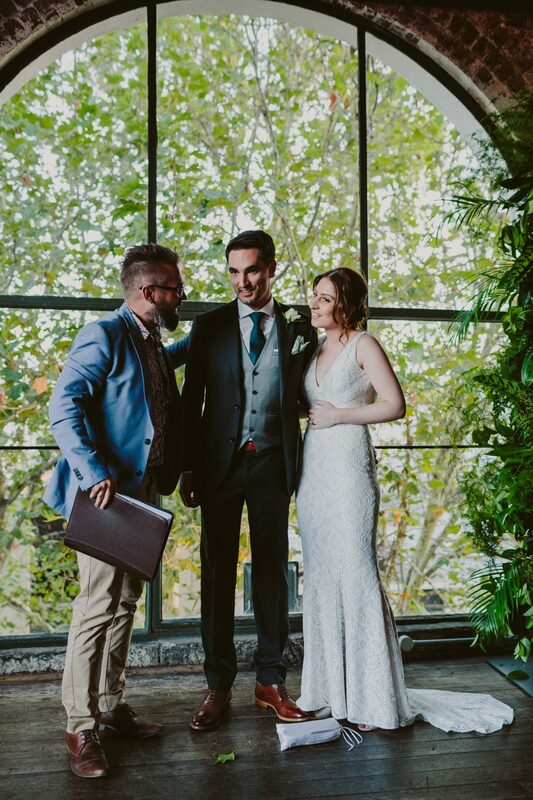 If I am so lucky as to be your celebrant of choice, the person that will help you declare your unyielding devotion to each other, it is my commitment to deliver a ceremony that is unique to you. I will help you capture the true essence of what makes you two each other’s ‘the one’, with a bit of good fun and a true celebration. So please, contact me to make an obligation free appointment. I would love to talk to you more about it. Check out the suppliers who I love to work with on weddings the most...I've called them the Rat Pack, because they're all so very very cool. I like to keep the process nice and easy, if you want to know more about my views on weddings and why I became a celebrant we can set-up a completely obligation free meeting. If we're a good match for each other and you want to proceed...that's music to my ears and we will lock your date in! We will sit down together over a coffee (or something similar if that's your tipple...it might be mine!) and we will create your ceremony as a team. It's my job to guide you through the process, but ultimately we will create your wedding, how you had always wanted it to be. We can meet us much as you like to make your wedding happen...there are no additional or hidden charges. This is the best part...we make you Wife and Husband, Husband and Wife, Wife and Wife or Husband and Husband. It is my job to make this the best day ever for you, your guests and whoever else is involved in the wedding. I love weddings, they are the best moments in the world. Real Weddings, Real People. No stock photos here! Showcase | REAL WEDDINGS, REAL PEOPLE. NO STOCK PHOTOS HERE!